We wrote a post (quite a while ago!) about the idea of Section-based Editing. 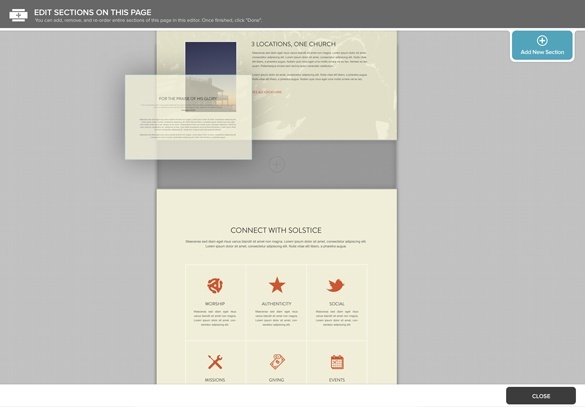 It makes it way easier for you to edit and control the look and feel of your website. If you checked it out when we first launched, it's time to check it out again. Since that initial launch, we decided to take a step back and make things EVEN more simpler (bad grammar to show emphasis). We've made it much better. But you get all the benefits! Ultimately, we decided to make section management its own mode that can be accessed from the new site panel editor. We moved all section editing into a full-screen editor, so it makes it easier to focus on your content as you edit the different sections on your page. As you'll see below, this design is clean, clear, and EASY. Which is the point of Clover Sites. We keep it easy so you can focus on what really matters. You can also check out this video for a glimpse of Section editing and how it works. CS3 Section Management from Clover. Bottom line? 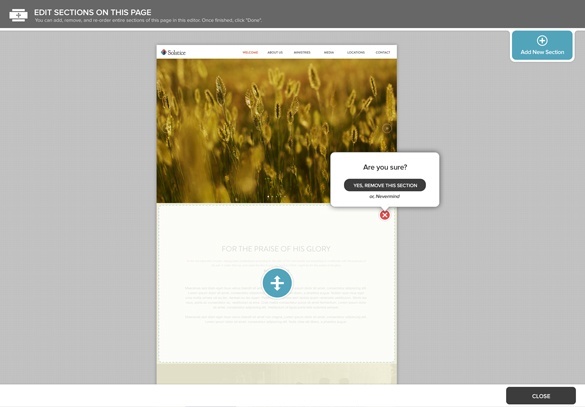 When you upgrade (remember, it's FREE to upgrade) from Clover Classic, your website will be easier to manage and better for your church to use. Let us help you add, delete, and reorder your sections in a much more focused way. This makes it easier for you -- and a lot more fun. If you're ready to give section-based content a try -- and see how easy it can be for your website, give Transition Mode a try!